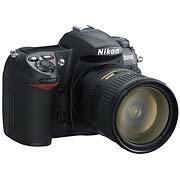 Digital Photography Review has just published their full review of the Nikon D200. As we expected, Phil Askey highly recommends this camera. If you're considering making the jump to this pro-level Nikon, I recommend that you read what Phil has to say. It will help you understand both its strengths and weaknesses, and help you decide if it's the right DSLR for you.